Industrial PCs come with stringent requirements that are not satisfied by generic PCs. It is customary for builders to use active cooling in order to ensure that the components are in proper working order. Ventilation slots are also provided to keep airflow up. Chassis size is also not always a concern. However, these flexibilities are not always possible in industrial PCs. Operating environments for such systems usually call for passive cooling, dust resistance, rugged nature and minimal size (read, mini-ITX). We have already covered the launch of a few industrial PCs including that of the Aleutia Relia which is being reviewed today. The specifications of the Aleutia Relia also make it attractive to users who are picky about having a completely silent machine in their media center. The Aleutia Relia is a fanless mini-ITX system based on the Q77 desktop chipset. The Q77 chipset enables business / enterprise oriented features such as dual GbE LAN ports, Intel Active Management Technology (for remote troubleshooting and recovery), PXE network boot and auto-boot after power loss. A point to note about the Q77 Express chipset is that it comes with a long life cycle (with assured support at least through 2017). Before proceeding with the rest of the review, let us take a look at the configuration of the review system. I see you mention the NIC on the last page (might have been better placed on the first page, where you list the components), so the hardware is there. Is BIOS support there as well? Haven't seen anything from the BIOS so far, and AMT is heavily dependant on entire-system support. Did you actually get a KVMoIP session to work? I have recently built a very similarly spec HTPC (using the HDplex case rather than what I guess is a streamcom/wesean case) so it was nice to see a comparison. Price is a lot more reasonable than my build. Personally I would not use a mechanical hard disc, I hate noise and for an HTPC, an SSD is fine. The problem as I see it for an HTPC is that if no optical drive or TV tuner why bother with something this complex, probably easier and cheaper to store all the media on a NAS and have a very cheap streaming device as the HTPC. Looking at the internal layout, I can easily see why the hard drives get hot: one is mounted directly over the CPU. I wonder how just a single hard drive mounted over the memory performs with regards to temperatures and throttling. It also looks like the Wi-fi chip is replaceable so that single band disadvantage can be rectified. Aaaaand somehow this is supposed to be an HTPC? viable small form factor PC? At that price? say what? 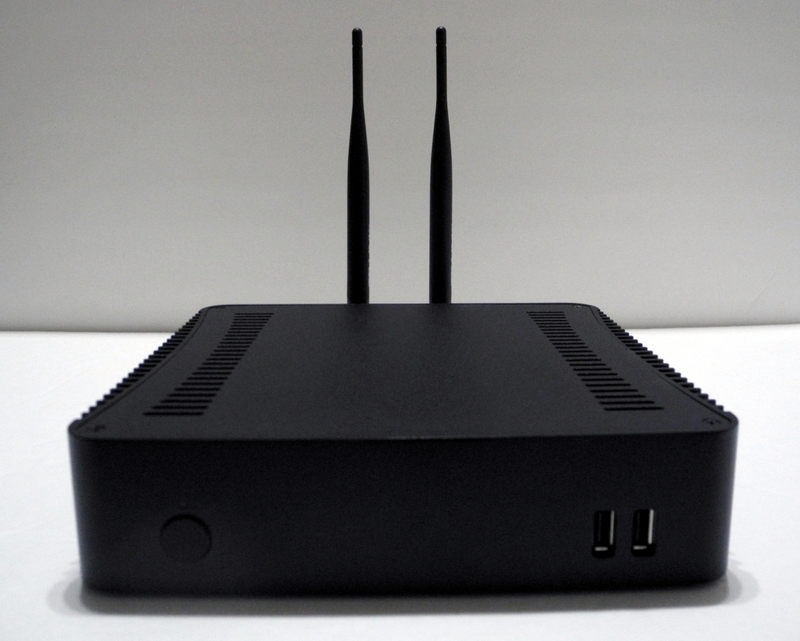 I would assume that it's being tested as a HTPC device because it looks like a decent contender on paper.